Every girl and woman wants to have most effective manicure treatment, which can give attractive and good look to the hands of the girls and women. They should choose the best and excellent manicure treatment, they can solve their issue with the use of home base manicure treatment. They can use the home based manicure by simple method and get the appreciation from others for their good work of manicure treatment. When the women and girls start the manicure treatment, they should keep in mind some things, which are extremely important for their nails. They should have the toolkit in which they should have cotton balls, nail clipper, nail filer, buffer and vitamin-E oil. They should note some essential things, which need to be implemented for the home based manicure ideas. The women should sterilize their tools before conduct the home or salon based manicure treatment. They should be aware of the fact that the tools should be cleaned and properly sterilized before use. Even when they use these tools for their own manicure treatment, they should clean them so that they can be safe from the germs and also ensure their hygiene. The women should note the important points of the home and salon based manicure treatment. Take luke warm water in big bowl and start the manicure treatment. Pour one teaspoon of shampoo or body wash or manicure lotion, if easily available and mix in the water. Dip the hands in the bowl of warm water for 10 minutes and dry with clean and hygienic towel & start the manicure treatment of the hands. Then cut the nail and trim them off. Trimming the nail is an important part of nail cutting during the manicure treatment and it is also equally important for the home based manicure as well as for the spa manicure treatment, so that the women can trim their nails well. Then they should file their nails to give the desired shape to the nails. Try not to cut the nails too shorts as it can lead to infections. When you cut the nails properly then use the wooden cuticle to remove the dead skin under the skin. This is an important part of the manicure treatment and the women should not use the metal cuticle for the removal of the dead skin. 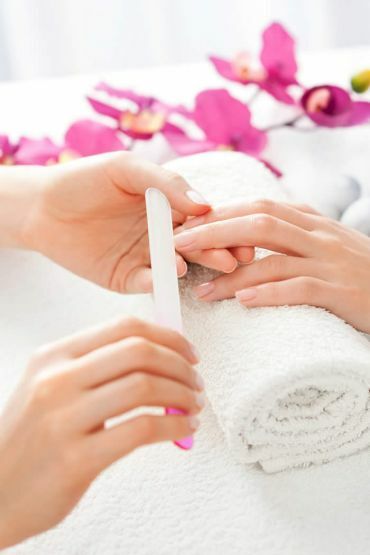 The women and girls should note that it is an important part in the home based manicure ideas and they should follow the instructions, which are given to them for carrying out manicure treatment. The women and girls should use hand lotion on top of the hands, which can help to make the nails smooth. If the women want to give the professional look to their hands during the manicure treatment, they should apply clear nail polish on the nails and it can keep the look of the nails after the god manicure treatment and make the look of the nails natural. During the home based manicure ideas, the people should give the attention to apply the oil on the base. Before the application of the colored nail polishes on the nails, the women can give the professional manicure treatment look to the hands. 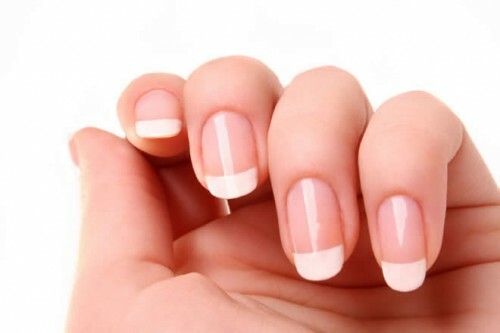 The women and girls can also do the French manicure treatment. The women can do the application of the nail polishes and the complete manicure treatment with the pattern of home based manicure ideas is done on their hands. Now they should enjoy with the quality of the manicure and they can also suggest it to their friends to use this home based manicure treatment, which is great idea to get the professional look of their hands. This is good for the professional nail spa as it can give good and attractive look to their hands.